We offer an assortment of promotional stadium cups. 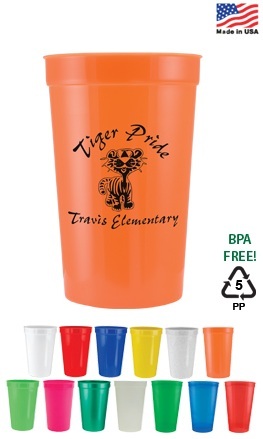 All Customized Stadium Cups come with discounted prices with your printed information! Give us a call (706-374-0710) for a FREE quote and to put our years of promotional and advertising experience to work for you. Quality stadium cups that they will keep for years.